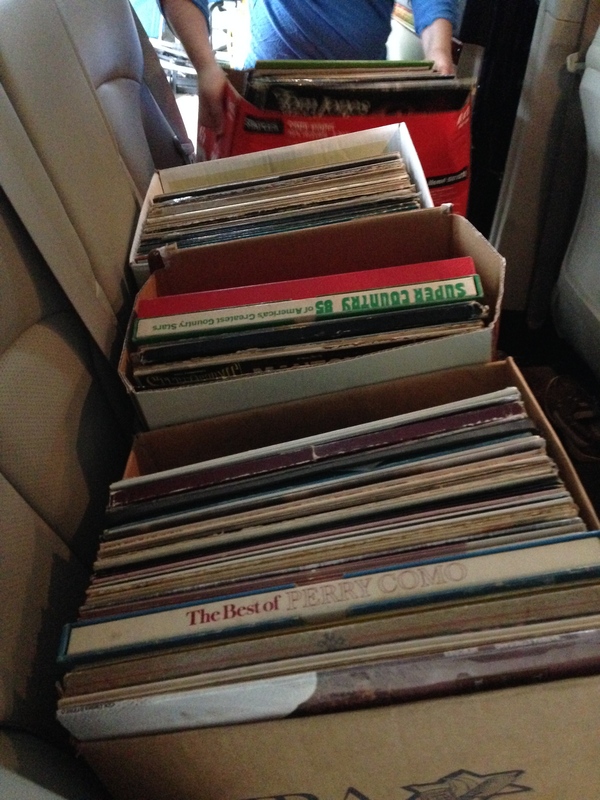 Clump #206: Sort basement clumps and take vinyl records to Goodwill. 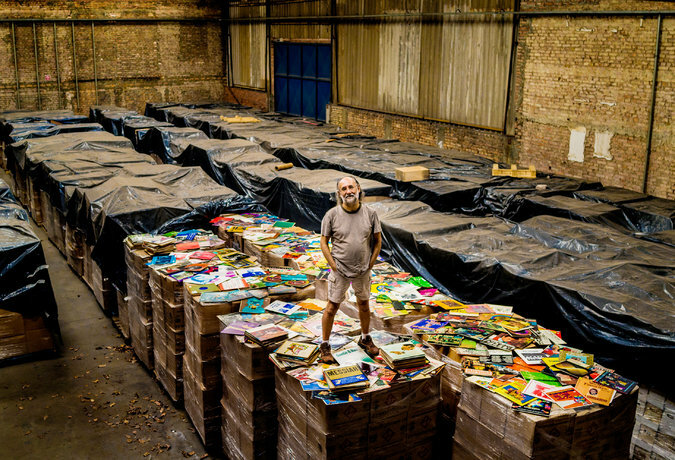 No matter how bad we might feel about our cluttered basement, this article from The New York Times, about a Brazilian man driven to own all the vinyl records in the world, is proof that it could be much, much, worse. It’s all a matter of perspective. 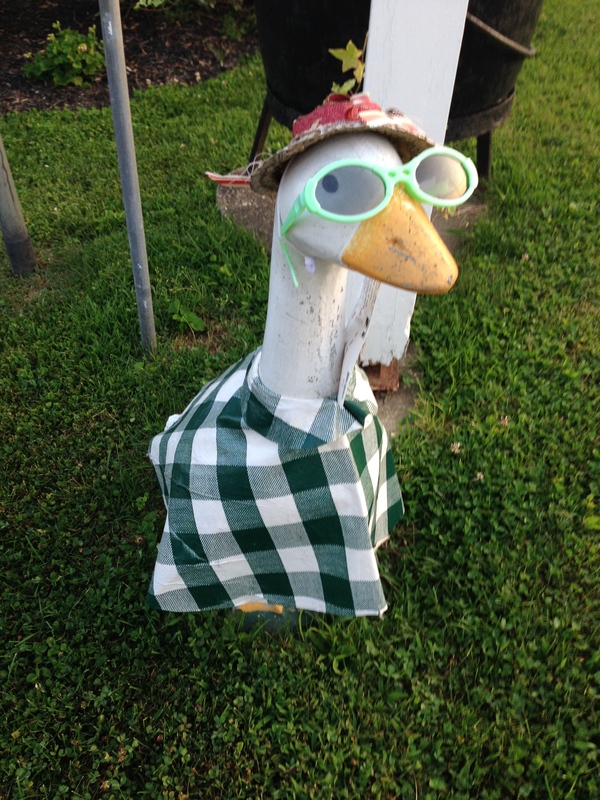 As loyal readers know, I often include photos of what I’ve called “the goose of Strasburg, PA,” which I see on the way to visits with my mom. I’m now wondering whether she is actually a duck … a very dapper duck. The most recent of her snappy ensembles was this green and white check, with matching sunglasses. Tucked into her collar was a postcard (has she been on vacation?) 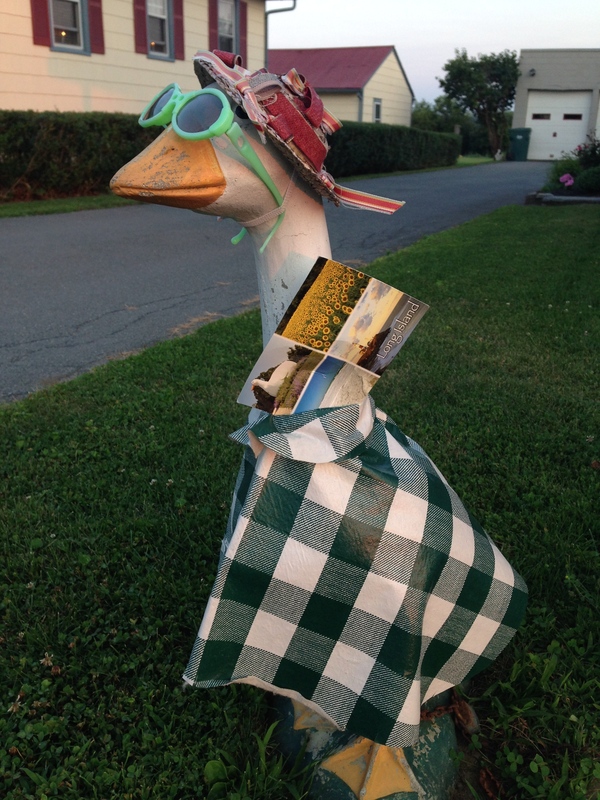 from Long Island, with a photo of The Big Duck in Flanders, NY. Happy tails … er… trails!